But going into a midterm election that should be the Democrats’ to lose, the DNC is still struggling to bring its factions together and assert itself. Throw into the mix powerful super PACs, the much better funded party committees focused on Congress and governors, and more independent voters than ever, and many wonder if the DNC has a place at all anymore. It’s hard to overstate the scale of his task. The DNC has become every frustrated Democrat’s favorite piñata, and a symbol of everything that went wrong in 2016. Sanders-Clinton hostilities have taken on a new form: The tension now is over whether Sanders should hand over his massive voter list to the committee, as Perez has asked, and whether the committee has gone far enough to overhaul internal rules that Sanders forces are convinced rigged the nomination for Clinton. Neither side is satisfied, and words like “crazy,” “still doesn’t get it,” and, in one case, “Judas are tossed around to describe people in the opposite camp. 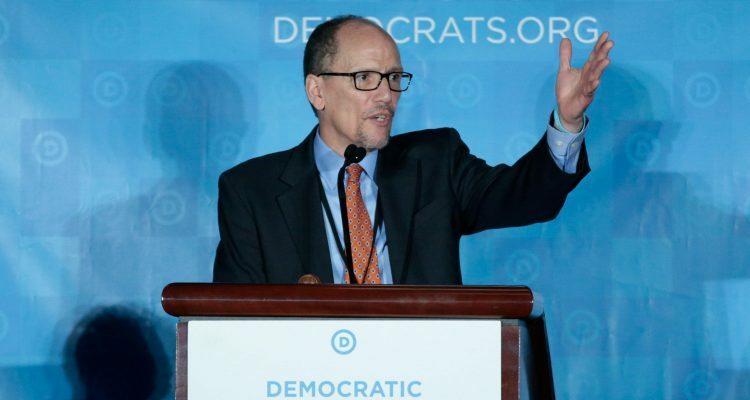 It’s hard to imagine Perez’s first year at the DNC going any worse.